Lot Vekemans’ 2009 drama Poison (translated from the original Dutch title Gif) is widely considered to be one of the most internationally successful plays coming from the Netherlands. It won the Taalunie Toneelschrijfprijs Award in 2010 for best new Dutch play. Poison has since been translated into many languages and staged all over continental Europe, as well as in Russia, South America, and Mexico. Poison will also be premiering on stage in China and South Africa in the coming year, and there are plans for film adaptions in both Dutch and English. 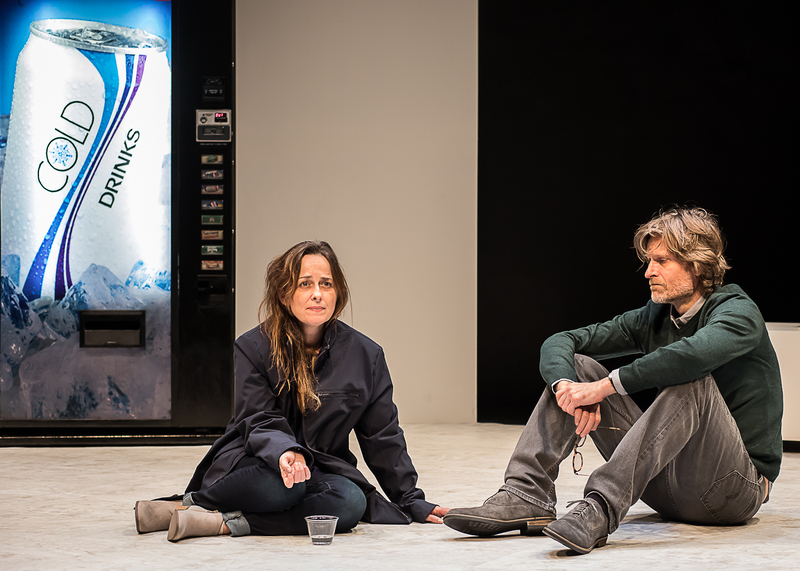 Vekemans’ play is a 90-minute snapshot of a larger story: a story about, in the words of one of its own characters, “A man and woman… who first lost a child, then themselves, and then each other”. 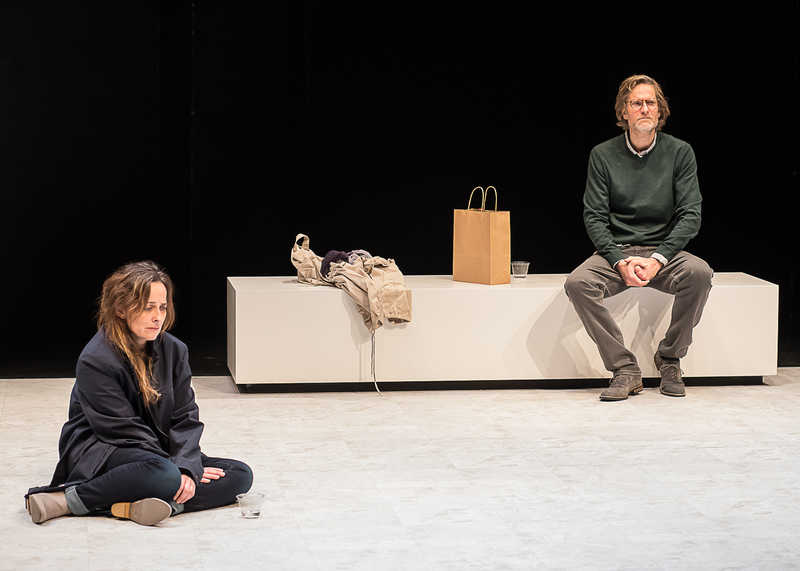 The provocative piece is now enjoying its long overdue American premiere at The Beckett Theatre at New York City’s famous Theater Row, courtesy of the Origin Theater Company. This version is translated by Rina Vergano and directed by Erwin Maas. In Poison, a long-separated husband and wife (Michael Laurence and Birgit Huppuch, named only “He” and “She”) meet up at a cemetery chapel ten years after the death of their son. Ostensibly they are there to discuss a problem with their child’s grave site: the possibility of poison (hence the play’s title) infiltrating the cemetery grounds. 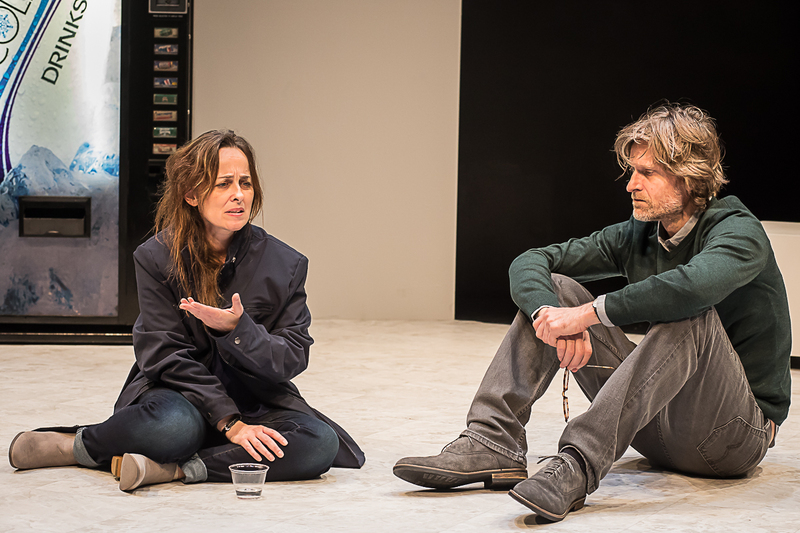 When the two characters first appear on stage together, the audience immediately feels the anxiety between the two—at the risk of sounding cliched, the tension is so thick you can cut it with a knife. The characters’ discomfort is evidenced by some very long pauses throughout their initial meetup, as well as some equally uncomfortable small talk. Gradually, their discourse becomes more emotional and spirited, especially as long-suppressed hostilities rise to the surface and certain revelations are made. In one of the pivotal moments of Poison, we learn that one of the two ex-spouses has moved on in a big way— getting married again, expecting a new child, and writing a book about their tragedy. The other, while “functioning”, has struggled with an addiction and is arguably having a much more difficult time moving on (or, in the observation of the other character, “wallowing in grief like a lovely warm bath”). As the two progress from uncomfortable silence to their candid bearing of souls, the audience wonders just what will come of this reunion. It’s not difficult to understand why Vekemans’ work adapts so well for international productions. 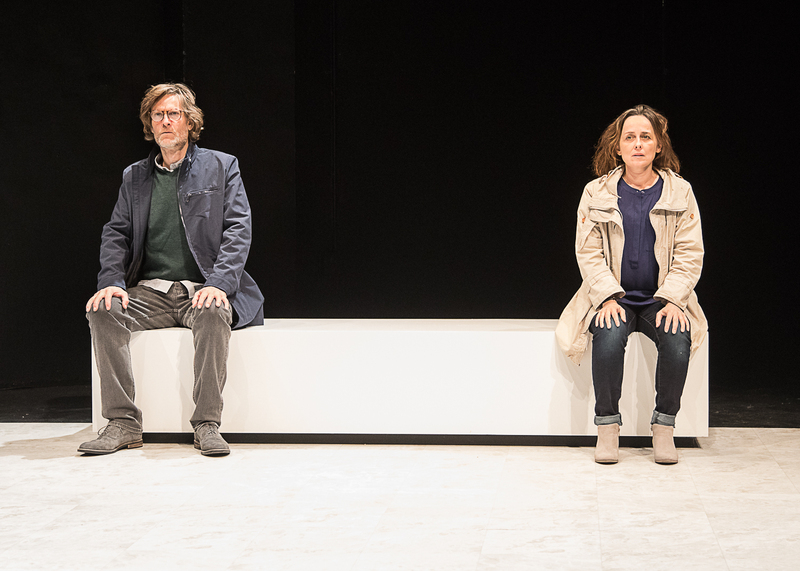 The central story— about a separated couple confronting their past— can be appreciated by a universal audience, as can the play’s concurrent themes of loss, anger, grief, frustration… and, ultimately, healing. Aside from the reference to “euros” and European locations, this man and woman could be any race or ethnicity. 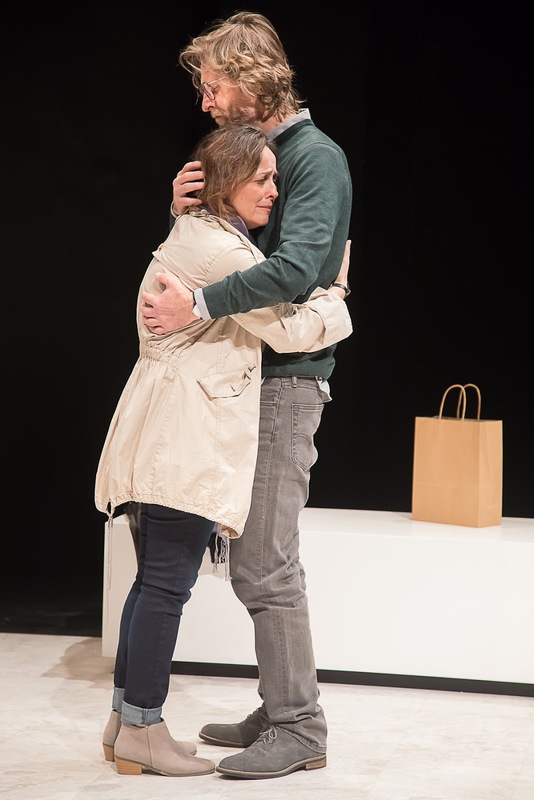 Any play with only two characters (especially two characters with so much emotional entanglement between them) requires a very palpable chemistry on the stage. Laurence and Huppuch deliver that chemistry, with equal amounts of both fine wordless acting and savage delivery of their dialogue. For the audience, it’s like watching a well-choreographed anti-mating ritual. The performances are splendid, a standout example being when Huppuch’s characters recalls her last minutes with her dying son. It’s almost painful to watch. Like the “He” and “She” of the play, the audience may be holding expectations for some degree of closure and/or hope at the conclusion of the story— particularly because through the course of the play, we really feel the pair’s varying levels of pain. Poison ultimately honors our expectations— but just like with the characters, it’s a long emotional journey along the way. Poison runs through Sunday, December 11 at the Beckett Theatre on Theatre Row, 410 W. 42nd Street, New York City. For more information, visit www.OriginTheatre.org.